I already have a blog. It started off being about life in general, but later it changed course and became more reflective. I also have a budget healthy eating blog. Over the past six months or so, having studied with the Open University, I have begun blogging about the environment, climate change, etc., and the steps our family is taking towards a more responsible, eco-friendly lifestyle. These posts are over at multicolouredsmartypants.com, under the category ‘The Un-paving Paradise Project‘. But what started as an experiment has grown. The Un-paving Paradise Project needs a home of its own. My husband and I are nearing completion on the purchase of a wonderful old house and I am thrilled at the notion of finally owning our own home after years of renting. I am jumping up and down like a frog on a pogo stick so excited by the prospect of making it as environmentally friendly as possible, and sharing that journey here, on my new blog. This blog will also be more family-orientated than multicoloured smartypants, as our family figures out new ways of being together and ways to alter our lifestyle to leave less of an impact on the planet. I hope to promote the idea (to Christians) that one of the central themes of Christianity – loving the poor and the oppressed – includes caring for the planet and being aware of environmental issues, but this is not a ‘Christian’ blog. It is aimed at anyone with an interest in the environment, whether believer, agnostic, atheist or just-wake-me-up-when-it’s-all-over. 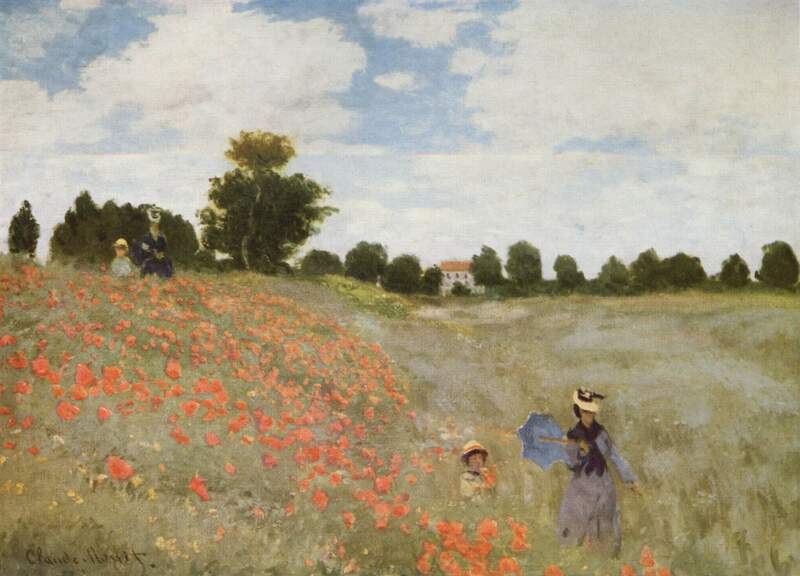 There is a field nearby, at time of writing, that is full of poppies and reminds me of this painting every time I go past. Our ‘green and pleasant land’ is so beautiful (though the painting is of course a scene from France, not England).